On Saturday December 8, the La Cañada Wrestling team won a tournament at Gabrielino High School in Glendale. The team has been attending this tournament for the past three years, and placed first, winning 9-0. The wrestling team might not be the team with all the buzz, but they are definitely the biggest team as they have 78 wrestlers. Wrestling is also a co-ed sport. The team’s five co-captains are Brandon Abboud (12), Aram Behshid (12), Sophie Garcia (12), William Henderson (12), and Johnny Vasily (12). The team is coached by Justin Luthey. So far this year, the wrestling team has done very well. A few months ago, the team went on an overnight trip to Lake Arrowhead (Rim of the World), where they wrestled and twelve out of the fourteen weight classes placed in the top three of a twenty-four bracket tournament. There are a few more wrestling events coming up in the new year. Home Duels are an event coming up in January which will take place in the South Gym. These are important because they determine whether or not the team wins the league. Coach Luthey is also very excited for this season of wrestlers. 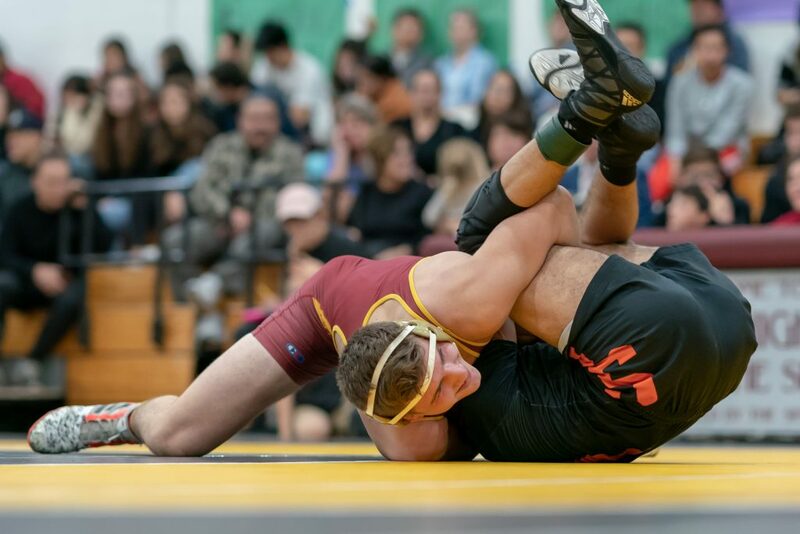 Whether you are a fan of wrestling or just want to go support a La Cañada sports team, make sure to keep the wrestling team on your radar and check them out in the new year.